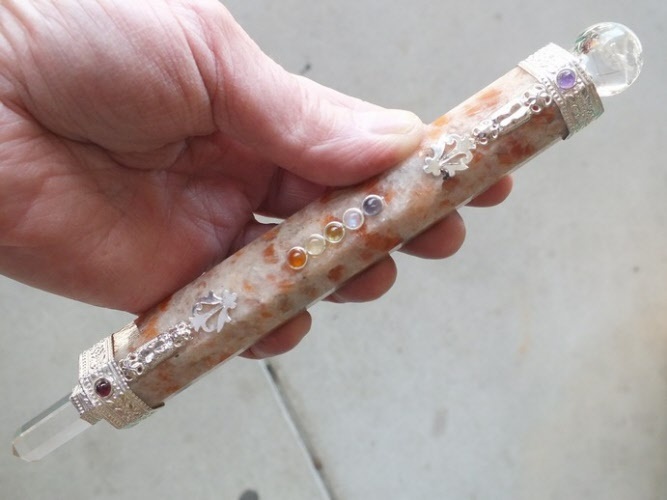 Beautiful and heavy crystal healing wand made from Sunstone and has crystal ball on top and quartz crystal point. 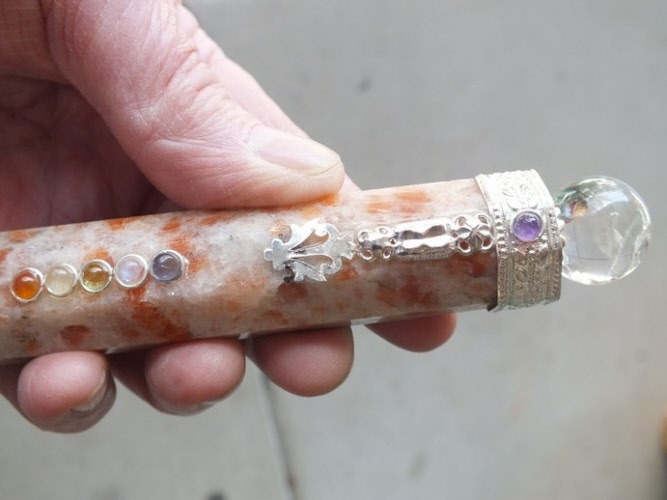 Also has seven chakra stones along it's length, and an exotic design in metal - see photo for more detail. 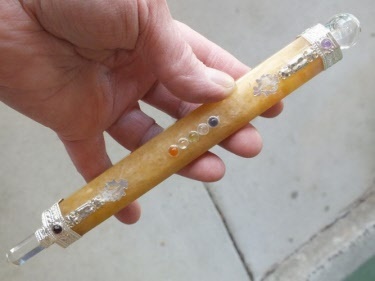 Beautiful and heavy crystal healing wand made from Citrine and has crystal ball on top and quartz crystal point. 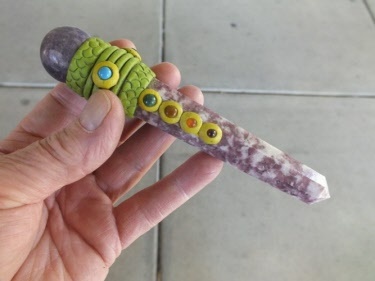 Beautiful Tibetan Healing Stick has amethyst ball on top with seven chakra stones around and down the length. The body of the healing stick is made from Amethyst also.